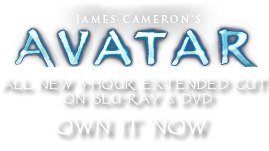 Arachnoid | Pandorapedia: The Official Guide to Pandora | Own AVATAR on Blu-ray & DVD Now! As part of the ritual, a prospective warrior must capture his or her own arachnoid, which is kept in a stone jar built specifically for the task. During the ceremony, the creature is made to sting the warrior in order to induce dream-like hallucinations that are believed by the Na'vi to foretell the warrior's destiny and reveal his or her spirit animal. The male arachnoid features dark purple and black markings. Those with dark purple and red markings are female. Arachnoids are slightly bioluminescent, with two lateral lines of bioluminescence on their abdomen. Despite their fearsome appearance, the arachnoid is a shy creature that would rather flee than fight. Arachnoids have been known to take up residence in Na'vi baskets or, on a rare occasion, in the intricate weaving of a hammock. To strike effectively, the arachnoid must raise its thorax, which causes the venom sac to empty into the stinger canals. During the dream hunt ritual, Na'vi elders evokes a sting by placing the arachnoid against the skin of the prospective warrior's neck. If left untreated, the sting from an arachnoid is usually fatal for a Na'vi child or elder. It has also caused the death of Na'vi warriors during Uniltaron, although this is a rare occurrence. The pain it creates is excruciating in either case. 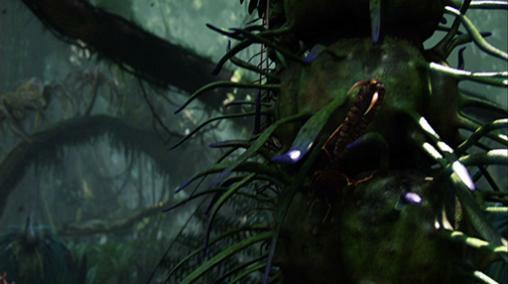 The Na'vi have developed an effective antivenom using the roots of the octoshroom, a detoxifying Pandoran plant that appears to negate the affects of the venom's alkaloids. (Tests are ongoing for potential Earth uses for the antivenom). Many Pandoran creatures have developed an immunity to the venom, and can eat the animal with no ill effects. This helps explain the timid nature of the fierce arachnoid. Taxonomy Scorpiosista virosae or “poisonous scorpion”. Habitat Rainforest vegetation. Range includes thin band of latitude in rainforest regions of Australis. Other species of arachnoids have been found in almost every region of Pandora, but are apparently absent from areas of intense vulcanism. Anatomy Extended thorax, six two-jointed legs (three on either side of thorax). Similar to Terran scorpion and other arachnids. Tail ends in twin stinger that delivers neurotoxin to prey. Feeding Ecology Usual food source is small insects, but will prey upon small rodents and birds if opportunity arises. Size No more than fifteen centimeters in length. Notes Venom is psychoactive and may induce hallucinations when used in conjunction with an alkaloid contained in an indigenous worm. Used in various Na'vi rituals.